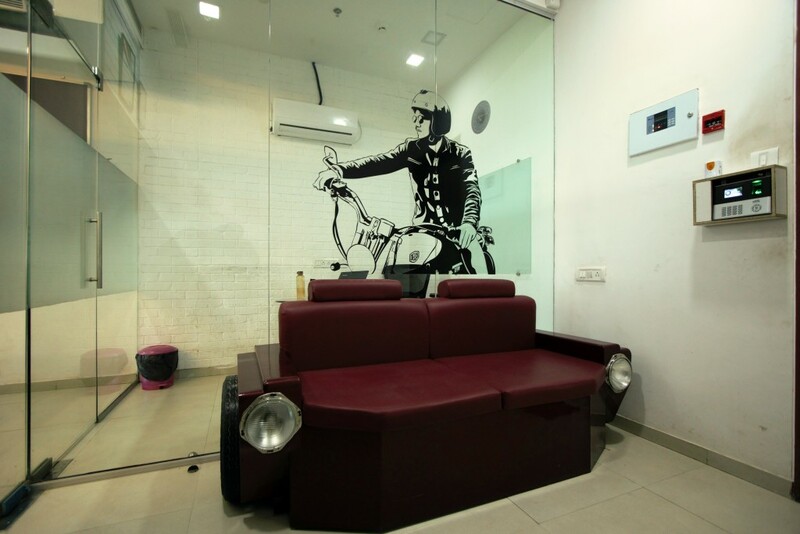 The used two wheeler marketplace CredR has an office that represents its product – bikes and scooters – as a part of the its theme and design with elan. We got a sneak peak at the space, and here’s all the lowdown you need to know and the photos you need to see. 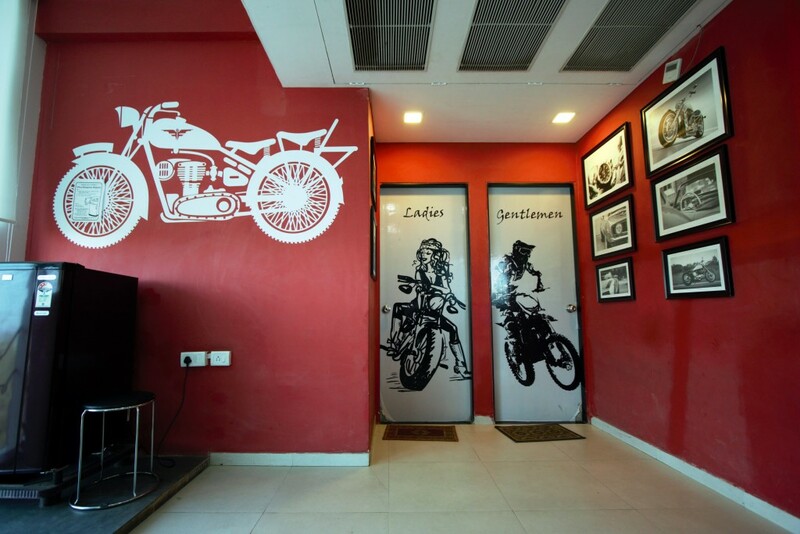 There are two offices in Mumbai, both located in and around Powai. One houses the Head Office and the other houses the Customer Experience Team. This head office is a 10,000 sq.ft. spacious set up where all the other central departments work – business development, technology, product, marketing, finance and ops. And there are bikes all around. 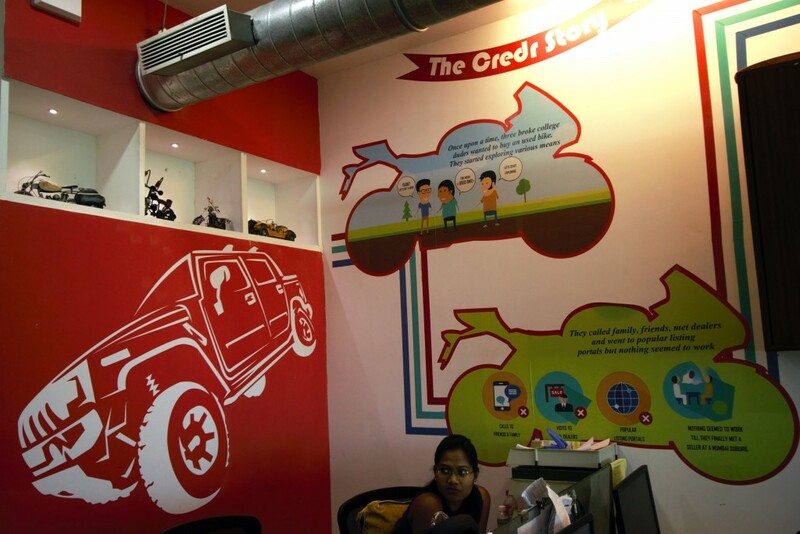 Apart from all the bike-themed areas, the CredR office has a large, chirpy cafe which houses a carom board and a foosball table. “Gaming has brought cross-team members closer and people bond over recreational activities in their free time.”, say the founders. The pantry gives employees unlimited access to on-the-house grub options like coffee, tea, energy drinks, quick bites, instant noodles, etc. The organization also ensures all employees are well taken care of if they work late nights with free meals and travel allowances. There is also a runners’ club that initiates and invites people to short runs that help everyone stay fit. The office has some silent zones which can be used as recreational junctions, solo work areas or the secret napping place. For times when employees need to think in isolation or relax their brains, service stations are the perfect peaceful places to be at. The HR team at CredR regularly organised fun and engaging sessions like the Counter Strike or foosball tournaments, yoga sessions, meditation, karaoke evening and the regular birthday celebrations. They also invite different industry experts to our office and have them deliver enlightening lectures for the entire staff. “The idea is to create channels to distress and bond outside of work limitations.”, says the company.